Colaiste na Maighdine, Presentation Secondary School, Waterford, is part of a wonderful tradition of education in the city for over two hundred years. Our fascinating history begins with Nano Nagle, a woman of courage and vision and foundress of the Presentation Order. In fact, she was voted ‘greatest Irishwoman' in 2005. The history of our school will reveal some of the reasons why. Hanora (Nano) Nagle, pioneer of Catholic education, was born to a wealthy Catholic family in Ballygriffin, Co. Cork in 1718. The Penal Laws prohibited Catholics from receiving an education or setting up schools so Nano was educated in France. She, however, was aware of the poverty and misery of the lives of the poor and returned to Ireland. At great personal risk, she set up a school for poor Catholic children in Cove Lane, Cork in 1754. She taught during the day and at night went to the lanes and bye-ways visiting the sick, the elderly and the neglected. As she carried a lantern to light her way, she became known as ‘ The Lady of the Lantern'. On Christmas Eve, 1775, though discouraged by the Church, she set up the order of nuns, which later became the Congregation of the Presentation of our Blessed Virgin Mary. We celebrate Presentation Day on 21st November, the day which is dedicated to the presentation of the Virgin Mary at the temple. Nano was a ‘champion of the poor and of the right to education and religious freedom. 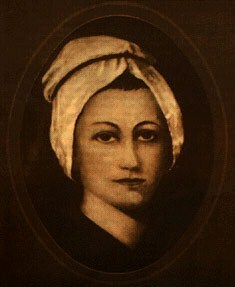 She died in Cork on the 28th April 1784. The annals of the Presentation sisters relate that a young girl who had attended the Presentation school in Cork so impressed the Bishop of Waterford that he wanted to set up a similar school here. Three women, Margaret Power, her sister, Miss Fanning and her sister-in-law, Eleanor Power agreed to travel to Cork and be trained by the Presentation sisters and later joined the order. Miss Fanning did not continue because of ill health and she was replaced with Mary Mollowney. In September 1798, they set out for Waterford. This was a year of rebellion and turmoil and the ladies had to remain in Kilmacthomas for three days as there was fighting on the Waterford road. Eventually they arrived in Waterford and were given temporary accommodation in Manor Street. On 6th November 1798 they opened the first Presentation school in Waterford in Jenkins Lane in what now is a heritage centre. It was the first free school in the South- East and was hugely significant in bringing education to the poor people of the city. A site had been acquired in Hennessy's Road and in 1800 the nuns moved into this new convent. The trustee who took the lease on behalf of the nuns was Edmund Rice of Callan. Many women came to this convent to be professed so they could bring the Presentation order to Clonmel, Lismore and Dungarvan. The nuns were even invited to set up a school in Manchester for the children who worked in the cotton factories, though it was the Clonmel convent that actually sent nuns to establish thisfoundation. The convent on Hennessy's Road was a centre for Catholic life in the city. It was a beacon of hope for the poor and though religious formation was a priority, the nuns also prepared the girls for employment in the houses of the wealthy or in dressmaking or millinery and so improved their lives and prospects. Edmund Rice was so impressed with the nuns' work that he set up schools for boys and he took his vows in religious life at the altar of the Presentation convent in Hennessy's Road. In 1848 during the Great Irish Famine the nuns moved to a new convent called ‘Holy Cross' in Lisduggan having got a lease from a wealthy Waterford businessman,Thomas Wyse. The ‘most celebrated architect', Augustus Welby Pugin, designed the convent and he was present in person when the foundation stone was laid. Many visitors come to see this wonderful example of Pugin's work. The school called St. Mary's was housed in rooms in the convent. It was quite progressive with instructions to teach children according to their natural disposition and to teach them to be respectful to their parents. The nuns were never to use corporal punishment. An adults' room was set up close to the schoolroom and adults attended on Sunday for schooling and particularly, religious instruction. By 1898, the centenary, the nuns built new classrooms to accommodate the large numbers attending the school due to the Compulsory Education Act and the increased Corporation housing in the area. They were in a lot of debt but the people of Waterford organized a ‘Centenary Bazaar' and raised enough money to clear the debt. These classrooms were in use until the 1980s. As more houses were being built around the convent the Presentation Order continued to provide education in Waterford. In 1923 what we call ‘the stone building', (now the site of the offices of M. M. Halley & Son, Solicitors), was erected as the new primary school. What was the first secondary school, St Mary's Academy, was opened in the convent in 1938. The principal was Sr. Catherine Kelleher and the first lay graduate, Miss Frances O' Donnell, from Donegal was employed. Miss O'Donnell kept the still -enclosed nuns in touch with the world and her contribution to the school was immense as she continued to teach there until her death in 1974. Again numbers grew and the secondary school was moved to the stone building in 1964 when the primary school moved to their new buildings, which had been erected in 1956 and 1963. With classes bulging at the seams, the new secondary school was opened in 1971 and further developed in the 1970s. to include a library, Home Economics, Science and Art rooms, a Lunch room as well as numerous classrooms. After many years of fundraising, the present gym building was opened in 1987 and included a fine gym, computer room, staff room and lecture theatre. This building not only provides gym and games facilities for the students but also for the people of Waterford through the local clubs that use it in the evenings and at weekends. In 1998 we were very proud to welcome, President of Ireland, Mrs. Mary McAleese to mark the bi-centenary of Presentation education in Waterford by attending mass and a reception in the school. She also inaugurated the Bi-centenary Award for Academic Excellence in Junior Cert., Leaving Cert Applied and Leaving Cert to mark the occasion. Through the final years of the twentieth century the religious principals, Sr. Aloysius, Sr. Immaculate, Sr. Margaret Mary and Sr. Fidelis introduced new programmes and courses to meet the needs of the students. In 2002 the secondary school got its first lay principal, Mr. Terry White who continued to develop and implement new courses and programmes and continued to lead the campaign for a new secondary school building. While the nuns sold the convent in 2006, there is a community of Presentation nuns living with the local community in nearby Larchville. The convent is now the site of the exquisite Waterford Health Park including the medical practice of Dr. Mark Rowe and the Pugin Café run by Lattetude. In 2007, Presentation secondary schools became part of Ceist, the Irish Schools Trust to ensure that the tradition and ethos of Nano Nagle's schools and Catholic education will continue to feature in the life of Waterford and Ireland. In 2012, we finally moved into our state of the art facilities. We continue this proud tradition of two hundred years of education in Waterford and look forward to continuing our great tradition and history. Click here to read 'Looking Back' - A reflection by 2 past pupils and a current pupil, that was delivered at our Official Opening March 22nd 2013.